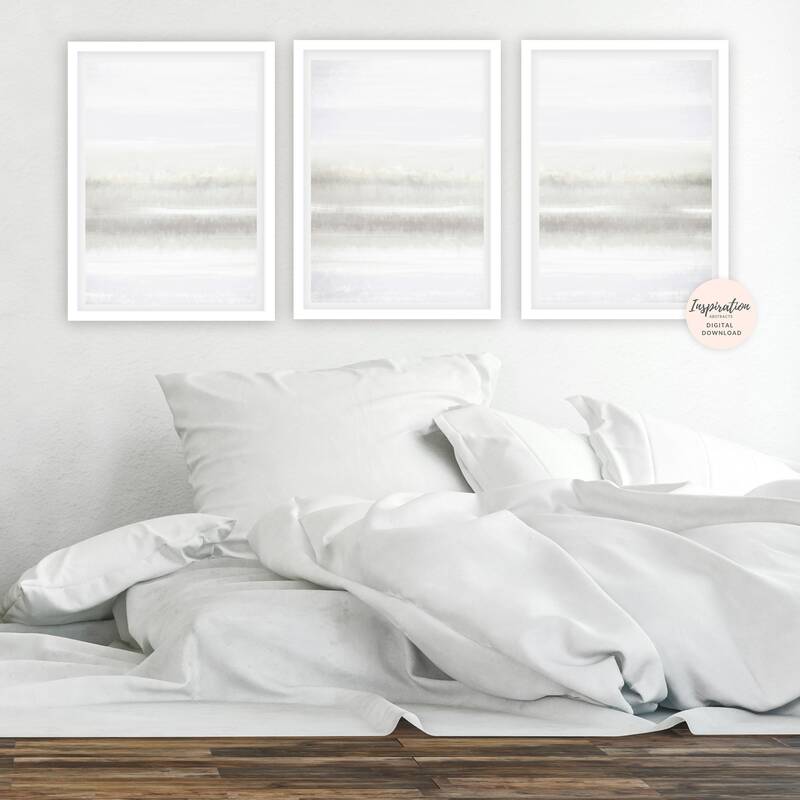 A set of 3, calming art prints with beautiful neutral tones of beige, white and grey. 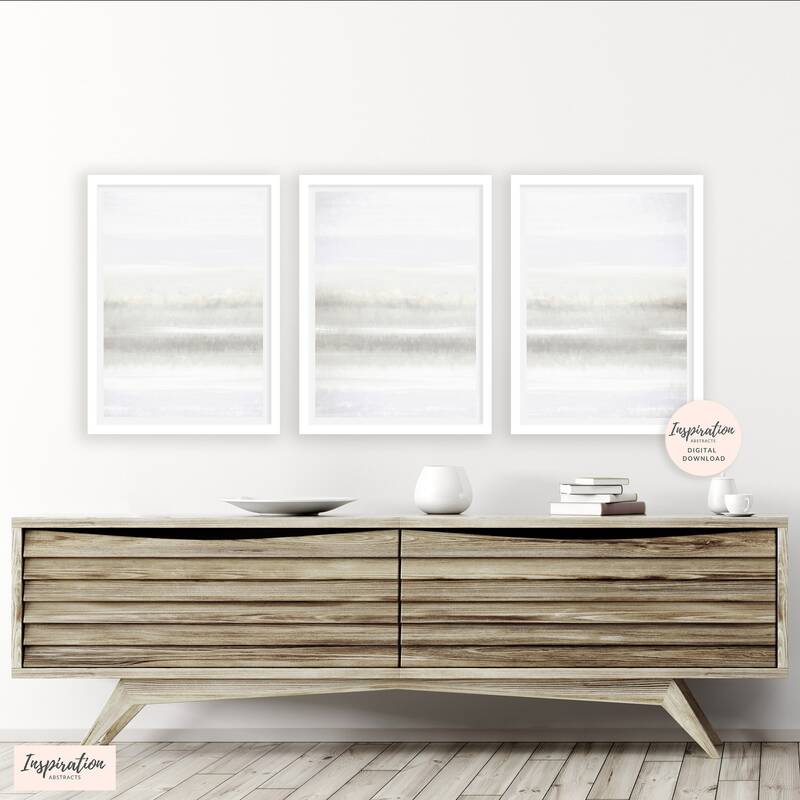 The perfect minimal statement for your stylish home. 2. 3 high resolution 300 dpi JPG files for printing at 4 x 5, 8 x 10, 16 x 20, 24 x 30 inches. 3. 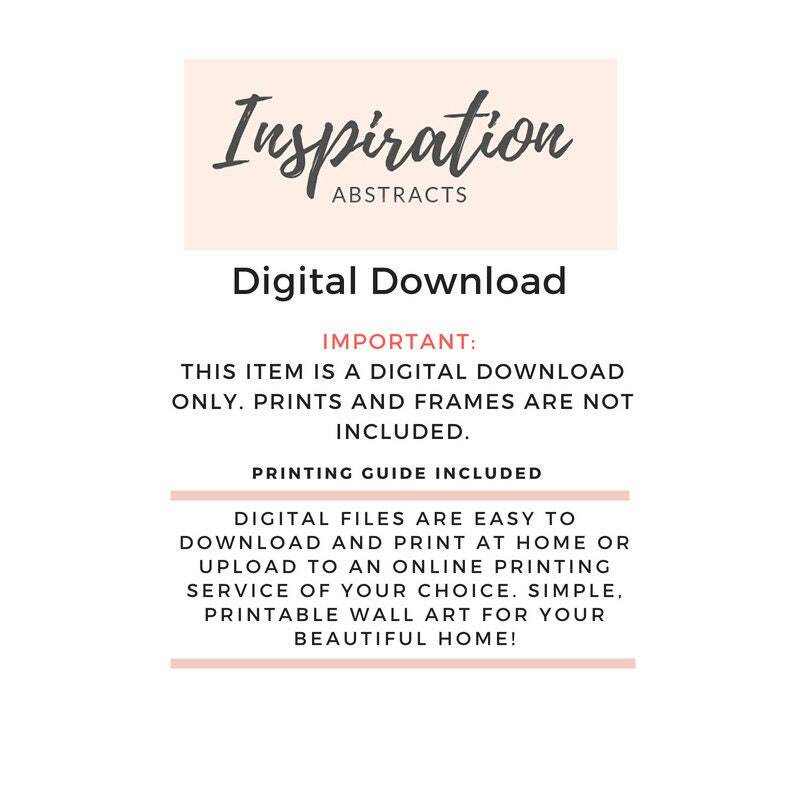 3 high resolution 300 dpi JPG files for printing at 8 x 12, 12 x 18, 16 x 24, 20 x 30 and 24x36 inches. 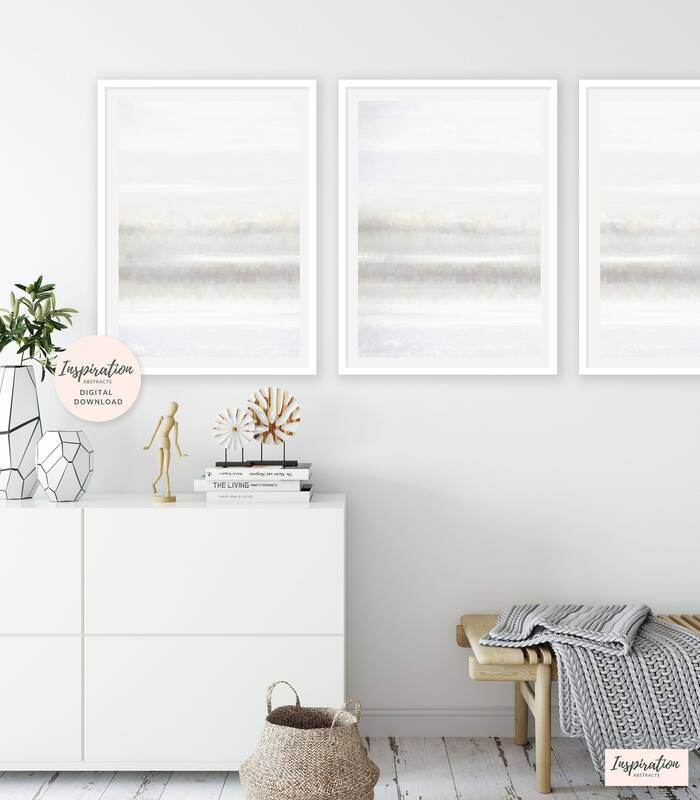 Lots of compliments on these simple, neutral prints! Nice simple art. It has a slight lavender hue to it, which I wasn't expecting. It works really well though with my gray and beige decor with purple accents! 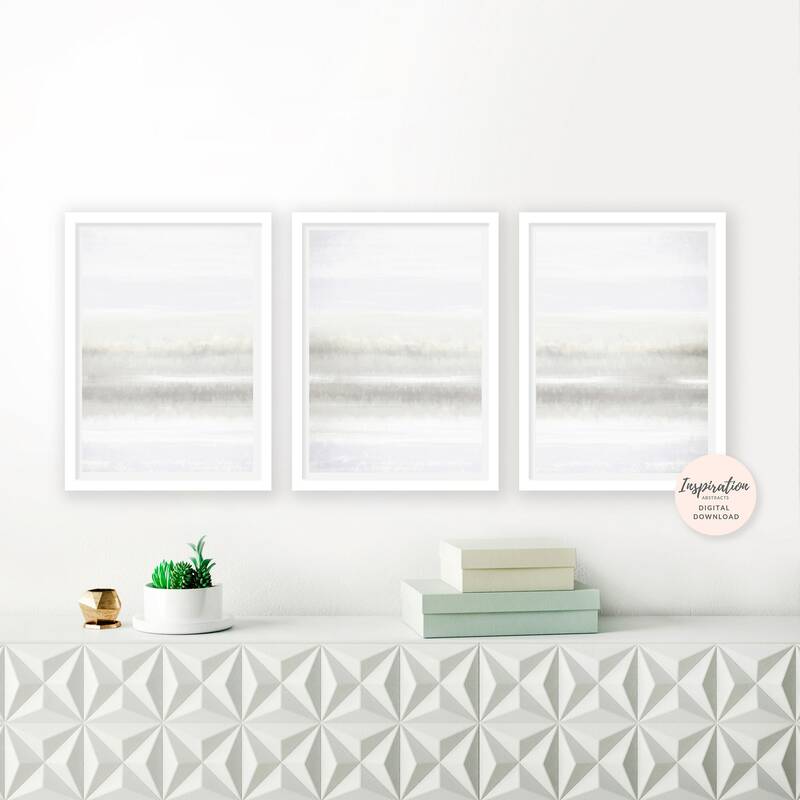 Also, the lavender hue could be from the company that I had print them on canvases. All around a great way to decorate my room!